The 'CFV' vaporizer from 'Boundless' for dry herbs is one of the few vaporizers that works with complete convection heating. The air is thus completely heated before it hits the herbs. The following evaporation produces a very rich and tasty vapour which can be very pleasantly inhaled. In addition, the 'CFV' has interchangeable heat retention rings, which can be changed quickly by the tool included in the scope of delivery. These rings provide a different taste of the steam or an additional heat storage in the chamber. 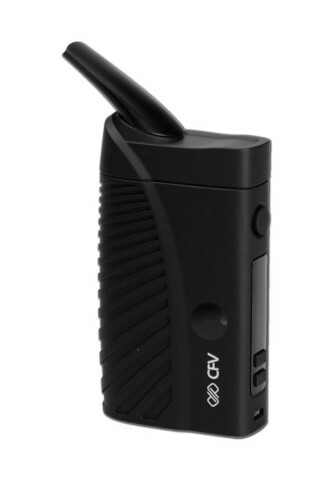 The 'CFV' is equipped with an OLED display and a simple button control. The temperature can be adjusted with a plus and minus key in the range of 140°F to 446°F. Also noteworthy is the short heat-up time of the 'CFV' of only 30 seconds. Further advantages: The 'CFV' automatically switches off after 4 minutes of retirement, a complete battery charge takes max. 2 hours and it fits in every pocket.